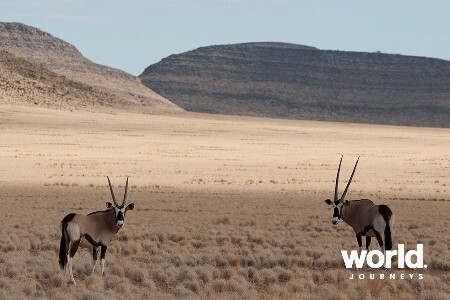 Namibia, formerly known as South West Africa, is a true hidden gem. An absolute must for the keen photographer, the country is a kaleidoscope of colours, shades and movement in serene landscapes that beg to just be quietly admired with a beverage in hand, and captured in the mind or camera. In Damaraland and north-western Namibia, echoes of its ancient geological history are in the mountains, dried up rivers and rock formations. 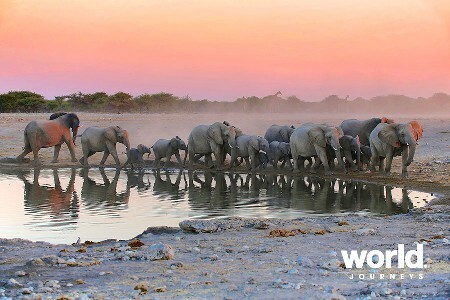 For wildlife encounters, Namibia’s Etosha National Park is one of the premier parks in Africa with a number of species not encountered elsewhere, all meeting at the waterholes to drink. 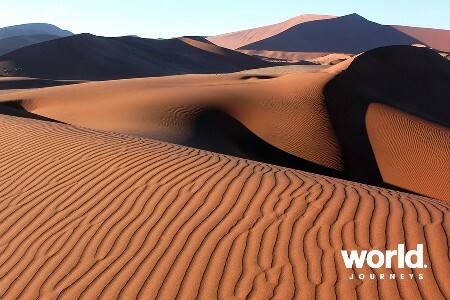 Sossusvlei, with its shifting sand dunes is a wonder to behold, and a hot-air balloon ride soaring above the Namib Desert is well worth doing. Generally speaking, anytime May through December is most suitable for travel in most of the country. During the heat of the summer December through March, temperatures can reach above 40 degrees Celsius. 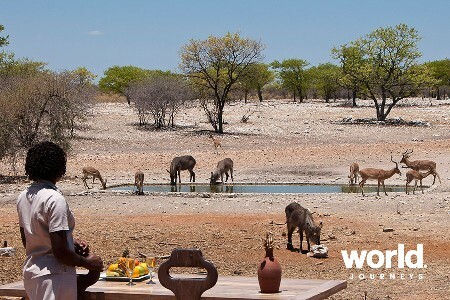 Winter days are warm, dry and most comfortable for travel whilst also being the best opportunity to see wildlife as the natural water supply is lower, bringing the animals to waterholes. 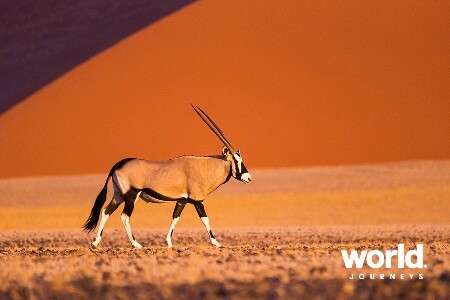 Namibia was an absolute surprise, from my limited expectations before I arrived there. 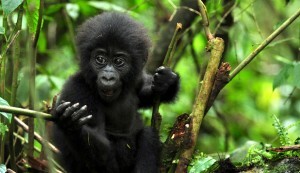 My experiences here rate at the top of all travel opportunities I have ever had. 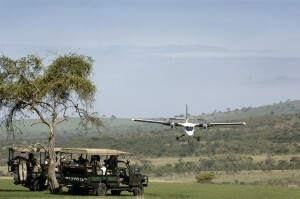 Of course, a luxury fly-in safari is a good start to rating that high! From the first moment I felt very welcomed in Namibia. 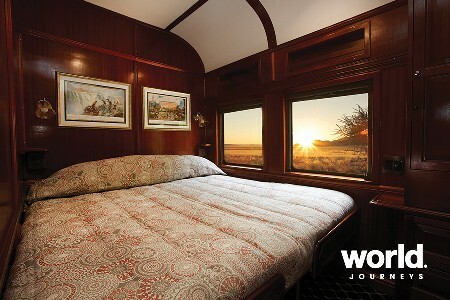 I was on my own, and staying at a little boutique hotel in Windhoek the night before my safari when my appointed safari guide phoned to see if I would come down to “Joe’s” (I learnt quickly that Joe’s is the mainstay for pre and post safari drinks!). After a couple of meet & greets with the remaining guests in my group we got off to a great start. 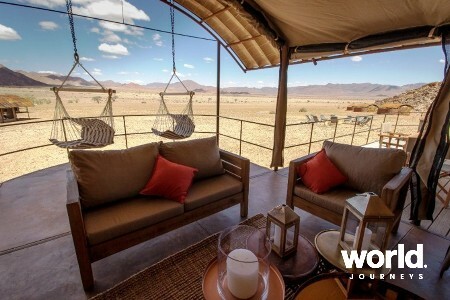 Our first safari destination was Damaraland – an enormous region of expansive and beautifully wild landscapes. 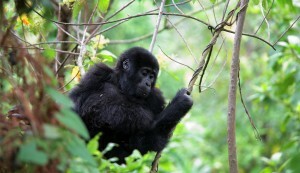 After arriving at the little airstrip and a 4×4 transfer – with game viewing en route – by the time you reach camp you really know you are in a very remote region on earth. Two days into the safari and I learned more about the geology and history of the earth’s continents here than ever taught (or took in) at school. How fascinating! 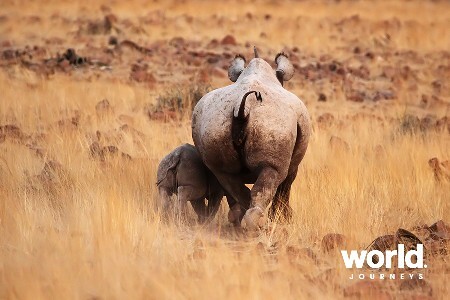 And tracking rare desert-adapted black rhino on foot with Save the Rhino Trust rated as a major highlight of the whole trip. 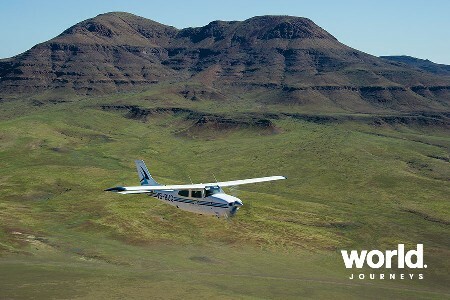 Departing Desert Rhino Camp, we fly over the incredible Skeleton Coast – renowned for its large number of shipwrecks over the last century – and to the extreme north of the country. We arrive in Serra Cafema, just a sand airstrip with little else but why not? If I thought Damaraland was remote, this is like being on the moon! An hour and a half later we arrive at Serra Cafema Camp, a little oasis situated on the banks of the Kunene River. 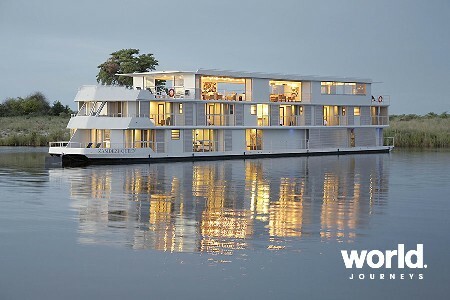 Our stunning rooms are dark wood, floating curtains, and veranda complete with hammock and views to the river. Sublime! Our days here are spent visiting remote Himba people, who are still nomadic and very authentic to their traditional way of life. We also have a couple of blitzes up and down massive sand dunes on the quad bikes which is another highlight of the trip! 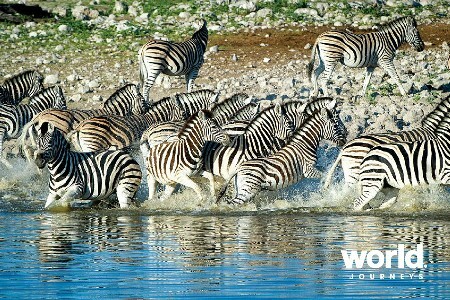 Our last stop on this trip is the world-famous Etosha National Park. 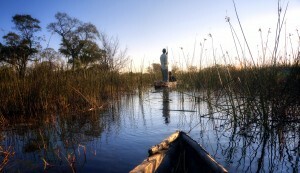 We stay in Ongava Private Game Reserve at Little Ongava – a six star experience in the wild. Just six spacious suites at the whole property ensures a very personalized experience and we enjoyed excellent game drives and surprise bush dinners during our stay. 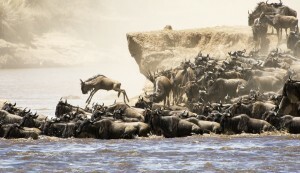 The focal point of Etosha is the enormous salt pan whose fringes are edged with productive waterholes that are frequented by a great number of mammals including elephant, lion, giraffe, zebra, gemsbok and others. 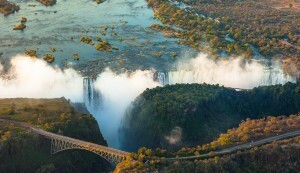 Namibia is a must to tick off your bucket list, and a fantastic combination with Botswana. 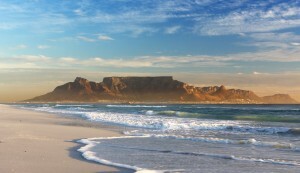 Language English and Afrikaans are the official languages of Namibia. Why we love it With 300+ days of sunshine each year, what’s not to like? Of course, weather is not everything. 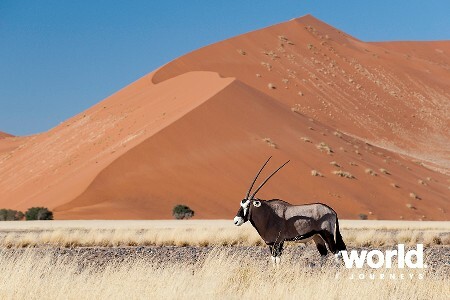 Namibia for the traveller is a slow-paced, relaxed and inspiring destination with the focus on stunning landscapes. You can experience some of the most remote and spiritual places on earth – Serra Cafema being a real highlight, where you can visit the nomadic Himba peoples. 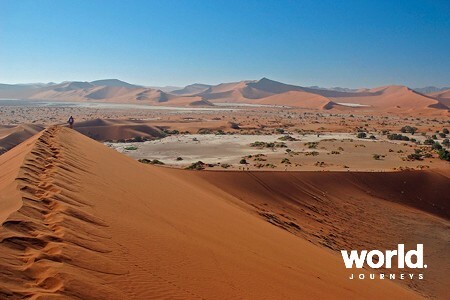 Sossusvlei is another magical place – where you can climb, slide down, balloon over and photograph the “sea of sand”. 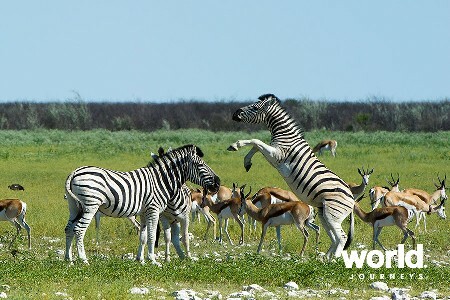 Etosha National Park, some 20,000 sq km and its salt pan attracts an incredible number and variety of wildlife. 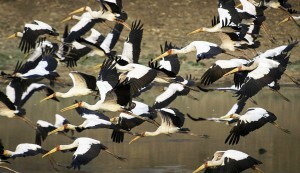 As travelling distances are lengthy in Namibia, we do recommend a flying safari to visit all the best destinations of the country if you have less than two weeks. Weather Summer is from December to April and for some, the intense heat is too much to travel in as you are outdoors a lot. 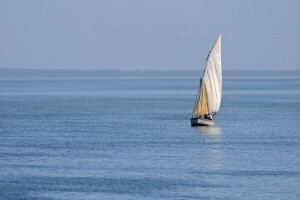 Winter is the best time to visit from May to October when you will have clear blue days and dry weather. Though the nights can be chilly, particularly in the desert areas so be prepared with extra clothing for the evenings. Makes it a great excuse to sit around the fire though! Social customs & quirks With a population of only 2 million in a land size area of approx 825,000 sq km there is plenty of space to contemplate life! The people of Namibia include a melting pot of heritage from Afrikaans, Germans, Himba, Bushmen and other tribes from neighbouring countries such as Tswana (from Botswana) and Khoi (from South Africa. 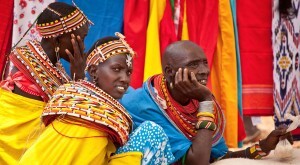 The different many tribes all have their own cultures and traditional customs such as the way they dress to this day. It is important to make sure if you are taking pictures of the locals that you have permission first in order to avoid offending anyone. Festivals & events There are no major festivals or events held annually in Namibia, apart from the Independence Day from South Africa held on 21 March each year where there are a series of festivities and carnivals held throughout the country. Health* A yellow fever certificate will be required for entry into Namibia if the traveller has been in a yellow fever infected country immediately prior. Malaria precautions are advised for certain areas of the country only, particularly if you are travelling between November to May.